I loved this dish. It was tasty with a lovely balance of sweet, salty and savoury (although I may have added a little too much thyme the second time around, don't be too liberal with this fragrant herb). Both adults and children alike loved it. As always, I would increasing the topping-to-pasta ratio, as it's always best to have more than less. I also found that this worked with some pasta shapes better than others. Penne wasn't as great as farfalle or even macaroni. A great pasta dish! Wonderfully carotty! Mhmmmm, this looks so delicious! I was totally fooled into thinking it was butternut squash, but I imagine carrots would be so sweet and delicious! I also loved Burton's creations when I was a young 'un - you're a girl of my own heart. 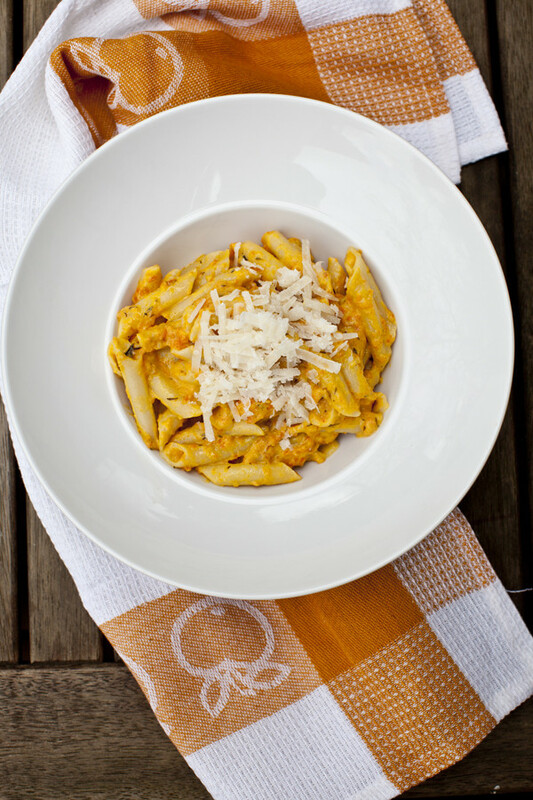 I would never have thought of combining carrots and pasta but this looks fantastic. Love the poem and this dish!! I cant say Ive ever had carrot as the star in a pasta dish, let alonebe called BUGS BUNNY! Love it! Adorable name for your pasta dish!! Would never have thought to combine carrots in pasta...great idea! 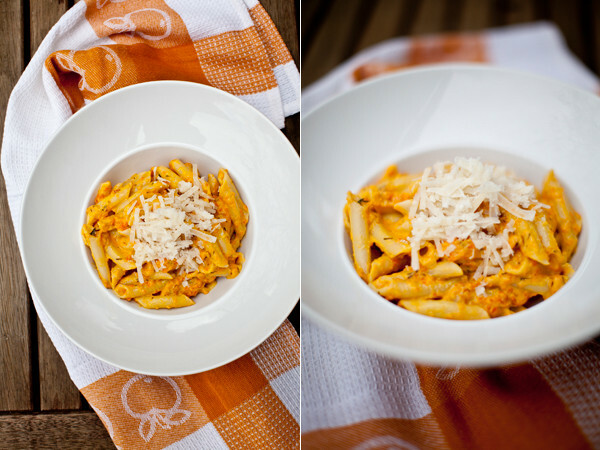 Oh yeah what little bunny wouldn't love this pasta, thanks for a great side dish to try out. I love carrots and I enjoyed those but (I never thought I'd say this as a sugar junkie) it was slightly too sweet for me. Still, a great healthy changeup from the usual creamy pastas :). This sounds really interesting but I'm missing the ingredients list and directions so I can cook this. Care to share? Thanks. Can now see the link but it just wasn't that obvious (perhaps some text to say click here?) to a burk like me. lol, I know a few adults that are STILL scared of carrots!